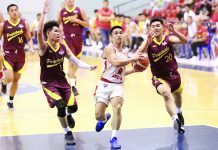 MANILA – Barangay Ginebra San Miguel Kings battled back numerous Magnolia Hotshots fight back before cruising to a 97-93 overtime victory in the 2019 Honda PBA Philippine Cup last night at the Smart Araneta Coliseum. 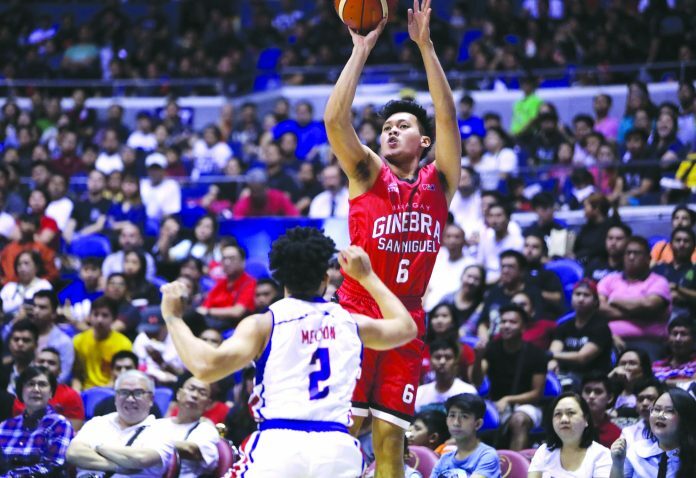 Earl Scottie Thompson had 27 points, 11 rebounds and five assists, while Japeth Aguilar and Gregory Slaughter added 16 and 11 points, respectively, for the Kings, which surged to 5-3 win-loss slate. From a 15-all score, the Kings went on a huge run to build a 28-15 lead on baskets from Thompson, Arthur dela Cruz and Kevin Ferrer. The Hotshots countered with a rally but could only come to within 35-43 at the half. Magnolia continued its run in the third canto and was able to cut the deficit to 44-45 but the Ginebra have answers from Thompson, Aguilar and Dela Cruz to increase the lead to 79-70. The Kings thought the victory was already on the bag with an 85-79 lead with 45 seconds left in the game but Hotshots forced overtime on back-to-back triples by Jiovani Jalalon. Ginebra zoomed to a 96-90 lead in the extension period on baskets from LA Tenorio, Thompson and Aguilar. 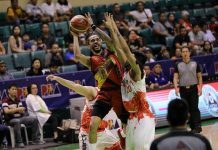 Magnolia attempted another run but a free throw by Tenorio iced the win for the Kings. Andy Mark Barroca finished with 23 points and seven assists, while Jalalon and Ian Sangalang added 22 and 15 markers, respectively, for the Hotshots, which dropped to 3-5 win-loss record. 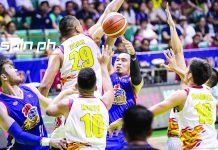 In the first game, NLEX Road Warriors cruised to its second straight lopsided win after taking down Blackwater Elite, 122-101, to move up to sixth place in the standings with 4-5 win-loss slate. The Road Warriors waxed hot early behind John Paul Erram and Juan Miguel Tiongson for a 23-15 edge but the Elite rallied back and took a 27-25 lead before NLEX finishes the first half strong on outside hits by Philip Paniamogan and Pedrito Galanza. Galanza and Paniamogan continued the onslaught in the second half as NLEX build its their largest lead at 84-55 but the Elite managed to come to as close as 86-95 before the Road Warriors pulled away for good with shots from Galanza and Kenneth Ighalo.